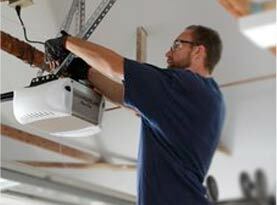 When it comes to upgrading or replacing your garage door, there are many things to consider. One of the most important things to factor into the replacement is if you have enough room in your garage and how much headroom you need for the garage door system. Though many are more focused on the aesthetic options and the efficiency of the garage door opener, the measurements are extremely important. The headroom is one of the most overlooked space calculations and it is necessary to the overall process, especially when it comes to installation. With this in mind, we at United Garage Door Service of North Las Vegas like to take the opportunity to elaborate on the basics of the headroom you need for a new garage door. 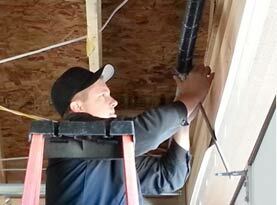 You will want a minimum of 15 inches of overhead clearance for a standard garage door with an electric opener. This clearance will provide you with the necessary three inches for the garage door opener equipment and the 12 inches for the door and torsion spring system. There are, however, some useful options if you lack the 12-15 inches of space to work with if you have a dream garage door or opener that is better for you. Refer to the solutions below. 1) Track systems with low headroom: For low-headroom garage door situations, there are kow headroom track garage door systems are special systems designed for this circumstance. You may potentially be able to install your garage door and opener with as little as 9 inches of overhead space using a low headroom system. 2) Frame down opening: So, you can simply lower or raise your garage door opening to meet your desired opening height, a frame down opening doors are available in 3-inch increments for no extra charge. 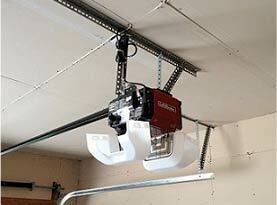 3) Jackshaft garage door openers: Try looking into acquiring a jackshaft garage door opener should you just need to save a few inches of space where the garage door opener unit would normally go, or in the event there is a beam in the middle of your garage. Keep in mind the operate from the side of your garage rather than the top though these openers can be as effective as a standard garage door opener and will eliminate your need for that extra headroom and keep the middle of your garage clean and spacious. 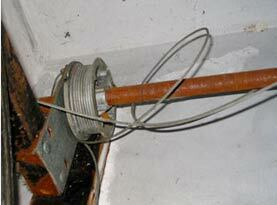 As mentioned, there are many aspects to installing a new garage door and opener. Where a lot of aesthetics are important, it is essential you ensure the measurements are accurate for proper function. As the headroom requirements vary depending on the building construction and the type of springs desired for use with the door, you need to ensure the measurements are accurate. As the door would travel into the garage and then subtract the door height you have measured from the floor to the finished ceiling or first obstruction. Be sure to factor in any conduit, pipes, structural beams, or any other objects that would interfere with the travel of the garage door. When you need assistance with your garage door replacement, call in the experts of United Garage Door Service of North Las Vegasand let our experts do the rest.